The International Centre for Integrated Mountain Development (ICIMOD) is an international independent mountain learning and knowledge centre committed to improving the sustainable livelihoods of mountain peoples in the greater Himalayan region. ICIMOD serves eight regional member countries of the Hindu Kush-Himalayan area – Afghanistan, Bangladesh, Bhutan, China, India, Myanmar, Nepal, and Pakistan – and the global mountain community. Founded in 1983, ICIMOD is based in Kathmandu, Nepal, and brings together a partnership of its regional member countries, partner institutions, and donors with a commitment for development action to secure a better future for the people and environment of the extended Himalayan region. Vision: Together with its partners and regional member countries, ICIMOD is committed to a shared vision of prosperous and secure mountain communities committed to peace, equity, and environmental sustainability. 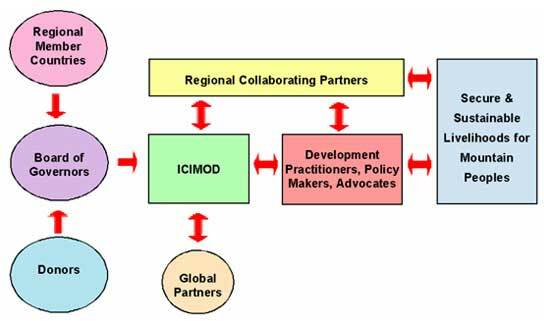 Mission: ICIMOD’s mission is to develop and provide integrated and innovative solutions, in cooperation with national, regional, and international partners, which foster action and change for overcoming mountain people’s economic, social, and physical vulnerability. As an applied research and development institution in the heart of the Himalayan region, ICIMOD's strategy is based on working with its partners to identify, test, adapt and communicateopportunities for overcoming mountain vulnerabilities andtransforming them into more security and sustainability for poor and marginalised mountain peoples. ICIMOD seeks to build on its comparative advantage, as a regionally mandated and grounded mountain-specific institution with a wide network of partners, to serve as a Mountain Learning and Knowledge Centrethat identifies and fosters solutions across the mountain world.ICIMOD works to build the cooperative networks and enabling environments through which these solutions can be implemented on a scale that will produce tangible results for the poor and marginalised of the region and beyond. · consultative centre on the sustainable development of mountain natural, human and institutional resources. The basic approach is summarised in the diagram below. The idea of creating an institution to promote the ecologically sound development of mountainous regions was first discussed at the International Workshop on the Development of Mountain Environment in December 1974 in Munich, Germany, but it was only five years later in 1979 during a United Nations Educational, Scientific and Cultural Organisation (UNESCO) Regional Meeting in Kathmandu, under the framework of the Man and the Biosphere Programme, that concrete commitments were made to establish the Centre. The Government of Nepal offered to host the new institution, and the Governments of Switzerland and the Federal Republic of Germany and UNESCO agreed to act as the founding sponsors. His Majesty’s Government of Nepal and UNESCO signed the agreement that provided the legal basis for establishing the Centre in September 1981 in Paris. 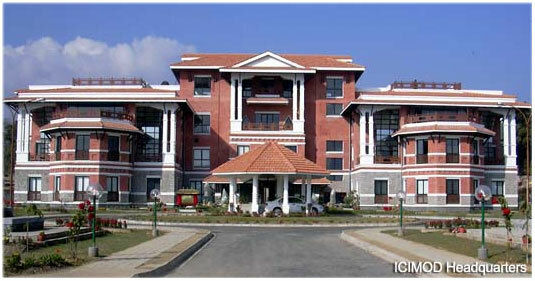 The Centre was finally established and inaugurated in December 1983 with its headquarters in Kathmandu, Nepal, and legitimised through an Act of Parliament in Nepal in the same year. The greater Himalayan region sustains approximately 150 million people and has major impacts on the lives of three times as many people living on the plains and in the river basins below. Not only the world’s highest mountain region, the Himalaya are the poorest and most complex. The region extends over 3,500 kilometres from Afghanistan in the west to Myanmar in the east, and ranges from the plateau regions of Tibet and other mountain areas of China in the north to the Ganges Basin of India in the south. 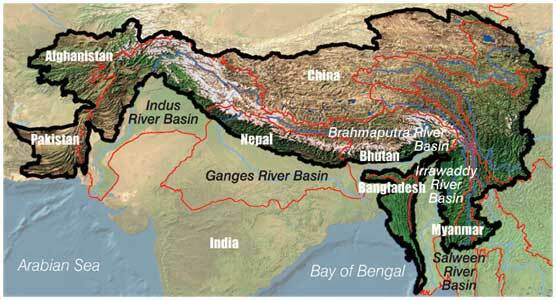 The upland watersheds of Asia’s eight major river systems – the Indus, Ganges, Brahmaputra (Yarlungtsanpo), Irrawaddy, Salween (Nu), Mekong (Lancang), Yangtze (Jinsha), and Yellow River (Huanghe) – originate in these mountains. The wealth of the Himalaya also lies in an immense diversity of flora and fauna and ethnic groups and languages. There are approximately 55 different mountain ethnic groups in the mountains of China alone, and estimates for the whole region would exceed 300 groups. Yet, despite this rich diversity, the peoples of this vast mountain region are, in the majority, abysmally poor and vulnerable to environmental, social and economic forces. Some pockets experience eight months of hunger or food deficit in a year. A variety of pressures both natural and human have fueled conflict, and in several areas this conflict has erupted into on-going violence. 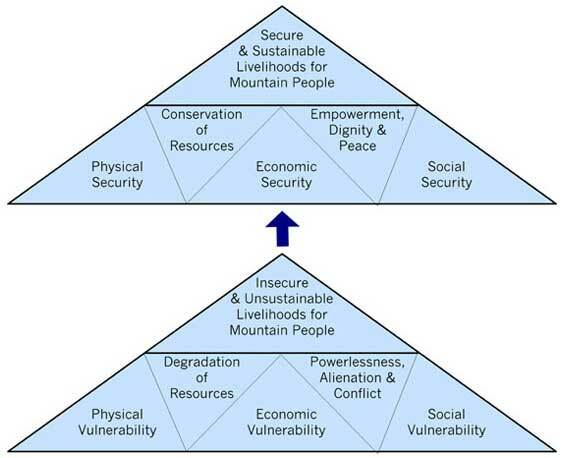 In the past, policy-makers neglected mountain areas, resulting in a general lack of understanding of the natural and human processes affecting these mountains and exclusion of mountain peoples from decision making. The development interventions that were designed were often extensions of plains’ solutions that narrowly addressed the symptoms rather than the causes, largely ignoring appropriate opportunities for development. However, the mountains provide a number of opportunities for mountain specific development and conservation that are increasingly providing a basis for reducing poverty and increasing sustainability. Despite the prevailing constraints in mountain areas there exists immense potential to promote a chain of development activities which can lead to the total well being of the people of these areas.